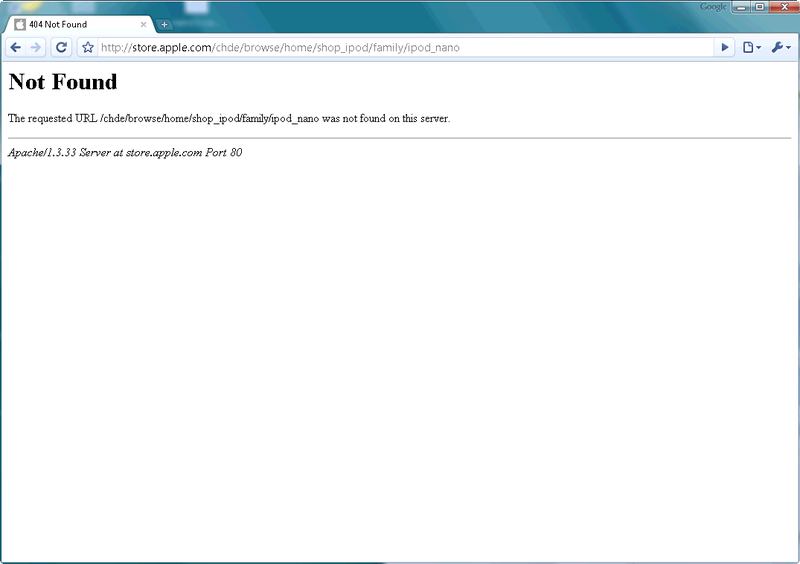 You don’t like the friendly error page of MSIE or Chrome? 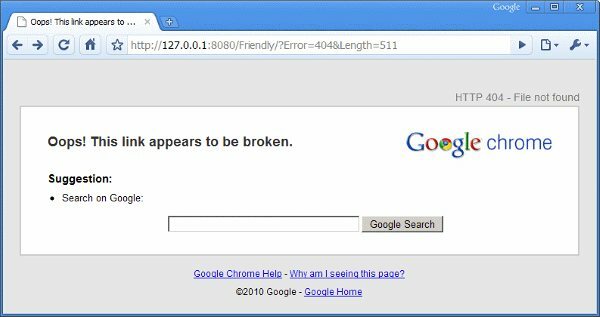 It is believed to be the length of the 404 html code which decided whether Google auto-changes the error page ("I believe if Google Chrome sees a very short, stock 404 page (less than 512 bytes), it talks to Google in order to try to suggest other possible pages and options" – Source). This trick is from nginx – quite handy, isn’t it? You only need to add those comments to your error layouts. Now the browsers can’t transform them into their own style anymore. But with the above approach a web developer can decide for himself.